Our services include printers, copiers, and scanners recycling and recycling all other types of printing electronics. We will even accept those printer cartridges and toners that get thrown out with them. At California Electronics Recycler we work hard to recycle electronics so that they don’t end up in our landfills. All too often people hold onto their old printers, scanners, and copiers to use as a backup but with the rising technologies they are mostly left in the garage or warehouse collecting dust. Instead of discarding them bring them to California Electronics Recycler and we will recycle or dispose of them in an Eco-ethical manner. Each year millions of tons of electronics in the United States are thrown away each year. Some of them get recycled but most end up in landfills. The electronics that end up in the landfills can be extremely hazardous and dangerous to the environment. Sadly, a study showed that only around 12.5% of all electronics actually get recycled. 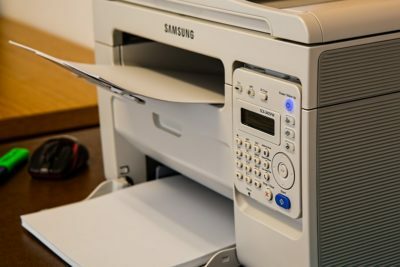 Electronics like Printers, Copiers, and Scanners can take up a lot of space in landfills and have materials that are dangerous if leaked into the soil and water supply. Most of these printing electronics, when thrown out or recycled, still have there ink cartridges and toners still in them. All these toners and ink cartridges can be refilled and reused numerous times before they ever need to be recycled. At California Electronics Recycler we ensure that your printers, copiers, and scanners are recycled and disposed of safely and properly. We have a downstream of vendors that are R2 certified that will recycle the scraps and reuse them in newer products. This cuts down the need for mining and finding of precious metals. How are Printers, Copiers, and Scanners recycled? When we receive these printers, copiers, and scanners to be recycled we test them to see if and how they work. If they are working we will look for ways to re-purpose them, why throw out a perfectly good printer, copier, or scanner if someone else could use one? If the printer, copier or scanner is not working we will make sure the cartridges are recycled and scrap the machine with one of our R2 Certified vendors. Our R2 downstream vendors will recycle the parts here in the United States and be reused to make new products. We recycle all types of printers, copiers, and scanners from all different manufacturers. These manufacturers include Brother, Canon, Dell, Epson, HP, Lexmark, Panasonic, Samsung, Sharp, Toshiba, Xerox and several more. We recycle desktop and mobile scanners, printers, copiers as well as All-in-ones. We offer free pickups of printers, scanners, and copiers to help you move these large and bulky machines.